When I previously wrote about buying a town centre car park for sale I had no idea of the huge interest in investing in this area of the market. Since then, I have been flooded with requests for more information about car parks for sale. Now, I have to hold my hands up – I am not a car park expert – however I feel I should do my bit for all of you who are interested in buying and investing in a car park for sale. So here is my auction round up of car parks for sale in the UK. 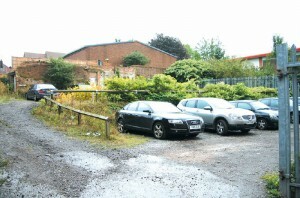 All car parks are being sold at upcoming property auctions shortly. I have provided details of the auctioneers, so if you are interested – please contact the auctioneer direct. The property is situated on the south side of Brunswick Street to the west of its junction with Back Street. A range of local shops are available close by on High Town Road with the further and more extensive amenities and shopping facilities of Luton town centre also being situated close by. Rail services run from Luton Station and both the A6 and A505, which provides access to the M1 Motorway, are close by. London Luton International Airport is also located within easy reach as are the open spaces of Stockwood Park. The property comprises a roughly rectangular site extending to approximately 0.068 hectares (0.169 acres). The property slopes gently down towards Back Street, is hardstanding and is currently arranged as a pay and display car park with 21 marked out spaces. The property affords potential for development subject to obtaining all necessary consents. 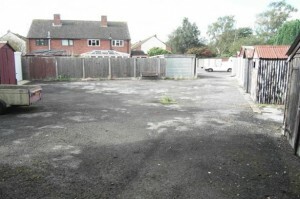 An area of land including a forecourt, parking spaces and garages providing potential for the erection of further garages – great letting potential. The site can be viewed at any reasonable time. 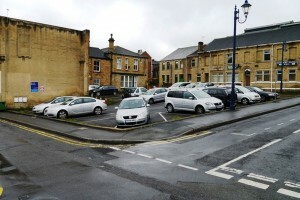 The site is located on Oates Street in Dewsbury town centre. Oates Street is accessed via Daisy Hill and Union Street. The site comprises a tarmac surfaced car park which is mainly rectangular in shape. The car park is currently configured to provide 31 designated bays. The site is bounded by stone curbing on all sides. Approximately 700 sq m (837 sq yds). We understand the car park is currently producing a gross income of approximately £22,000 per annum. There are long standing agreements in place on approximately 22 of the 31 spaces. However, there are no written contracts and the agreements are made on informal terms. If the vacant spaces were let on terms similar to those currently occupied the Vendor informs us that the car park could produce an income of approximately £35,000. The property is situated on the east side of Chapel Street to the south of its junction with Victoria Street. An extensive range of local amenities and shopping facilities are readily accessible in Luton town centre. Rail services run from Luton Station and both the A6 and A505 which provides access to the M1 Motorway are close by. London Luton International Airport is also located within easy reach as are the open spaces of Stockwood Park. The property comprises a broadly rectangular site extending to approximately 0.074 hectares (0.183 acres). The property is hardstanding and is currently used as a permit holder’s car park which is stepped to provide parking over two levels for approximately 20 vehicles. The property may afford potential for development subject to obtaining all necessary consents. The Receivers understand that the property is subject to 22 car parking licences at a licence fee of £500 per annum each (totalling approximately £11,000 per annum). The Receivers do not hold copies of the licences and the terms are unknown. 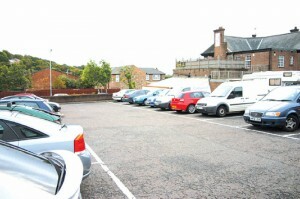 There are a total of 25 possible car parking spaces at the property. Today I was passing a car park in London with my friend and he said, that this is the easiest way to make money in the town. I don’t know where he got this idea from, but apparently he thought about it for a while! You mention you would love to be a “niche investor” – what sort of thing did you have in mind? Which website did you find these sites on? Dan, all the auctioneer’s are hyperlinked so you can check the sources. The car parks were for sale at auction with various auction houses and I compiled this post myself based upon what car parks I saw were going to be sold at auction. Can you update me with any car parks for sale in the united kingdom. i heard it is a good investment. i would like the car park located in a good area. i need your expertise appreciated, thank you. Thanks – the property auction season is quiet in August. Will do a new car park post soon, when more come to the market. Richard, sorry I am currently on sabbatical and so am not posting deals.